We find and prioritize scholarships just for you! 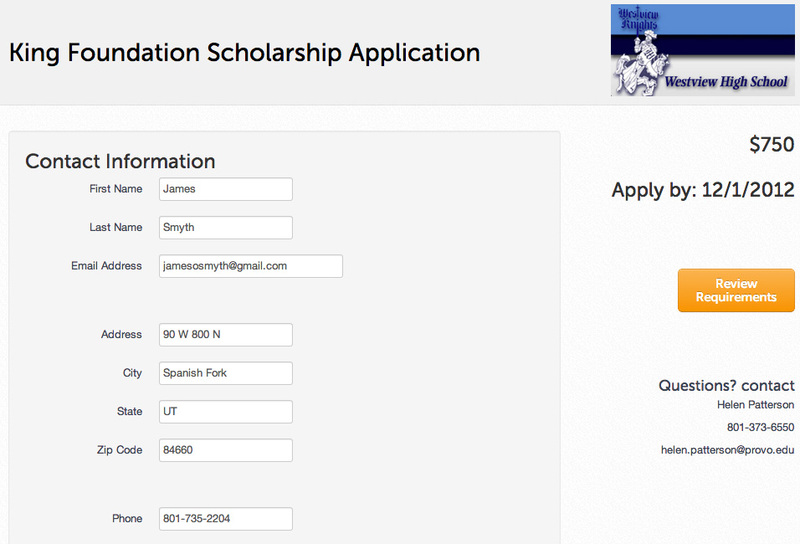 Not only do we filter out all the scholarships that you don't qualify for, but we prioritize the list according to those you are most likely to receive. Our system can auto fill application forms to save tons of time. 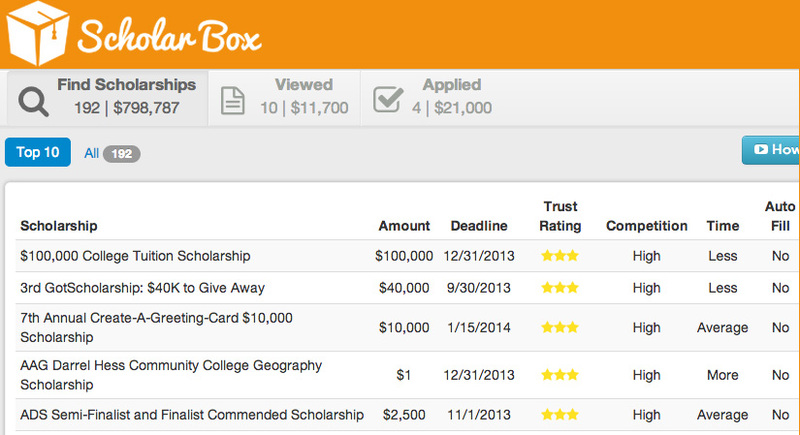 We keep track of your scholarship search for you. 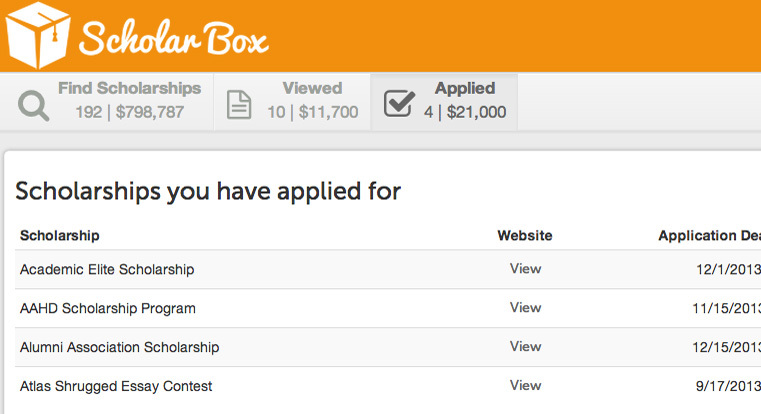 We keep a running total of all the scholarships you have viewed, applied for, and have been awarded.